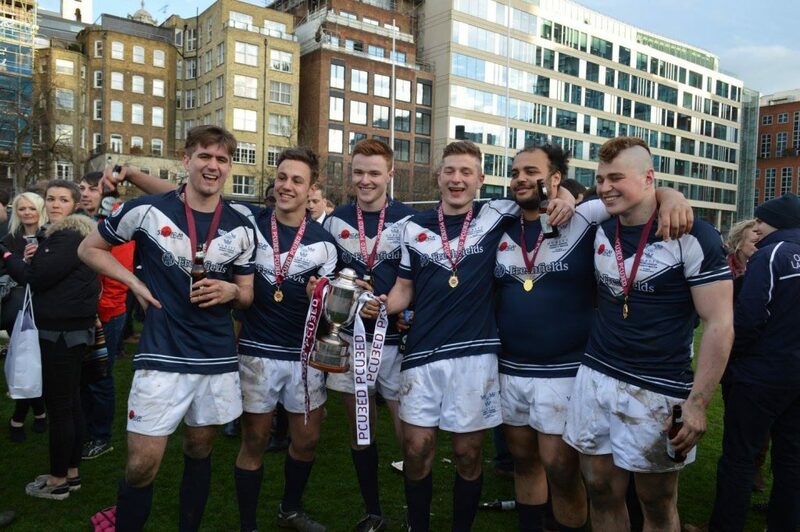 Oxford recorded the biggest win in the history of this fixture, their 70-0 demolition of Cambridge making it seven wins on the trot in the annual Varsity Match at the HAC ground in the City. The Dark Blues captain James Clark notched up 34 points in a man of the match performance with scrum-half Jordan Ayling claiming four tries. The promise of a more competitive Varsity Match proved just that as Oxford dominated every facet of the game. Although Cambridge had their moments, they never really threatened to break through a solid defence and have now gone three years without scoring a try. The opening exchanges did hint that things may be different this year with some good defence by the Light Blues. However, after nine minutes a searing break by Jake Langmead-Jones was finished off by Ayling and six minutes later he ran through some poor defence for his second with Clark converting both for a 12-0 lead. Cambridge worked hard to get back into the game but when they were in good attacking positions they were all too predictable and never really threatened to open their account. In the last 16 minutes of the half Oxford really cut loose. Conor McCleary touched down, Ayling completed his hat-trick and Clark scored twice and added three conversions for a 34-0 scoreline at half-time. Any thoughts of a second half revival were dismissed in the opening minutes when Clark crossed for his third try. The one-way traffic continued for the rest of the half with tries from Jack Holmes, Sven Kerneis, Will Henshall, Michael Woyton and Ayling. Clark ended the game with 11 conversions from the 12 tries. For Cambridge, second row Oliver Brewster worked tirelessly in both attack and defence for the whole 80 minutes and didn’t deserve to be on the losing side.